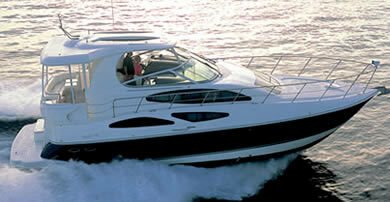 Lake Powell Marine provides boat storage, hauling, management, and repair. Since 1997, Lake Powell Marine has been providing services to single and multi- boat owners who rely on their services for a seamless vacation. 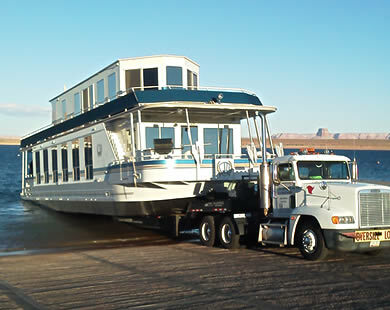 Year after year, customers trust Lake Powell Marine to safely transport their houseboats to and from Lake Powell. Customers not only depend on their expertise for the launching and retrieval of their boats from Lake Powell but also their knowledge of Park Service requirements such as Quagga mussel decontamination. An authorized Skipperliner service center, Lake Powell Marine can handle all your boating needs. Dry storing your vessel out of the lake slip is a safe way to prevent Quagga mussel colonies from growing on your boat. Lake Powell Marine will retrieve your vessel for dry storage and remove Quagga mussels that have attached. Located a short distance from Lake Powell, Lake Powell Marine provides outdoor houseboat storage in their 7-acre, blacktop area. Their secure, well-lit boat storage area is surrounded by a 10 foot barbed wired fence located at their business office premises. 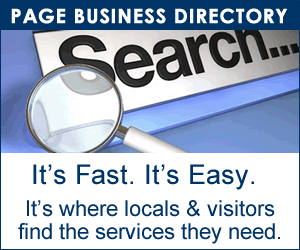 They provide extra services like washing and waxing and mechanical assistance when requested. They also provide vessel winterizing to prevent damage during the winter season. Lake Powell Marine specializes in the launch and retrieval of houseboats to and from Lake Powell. They maintain three semi trucks and numerous trailers to facilitate hauling the various boat hull types, and their transport staff include commercial (CDL) and certified flag car drivers. Boat hauling extends from storage to Lake Powell as well as to other locations in Arizona and neighboring states. Storage is on an asphalt surface in a fenced, well-lit, secure area at the business location. 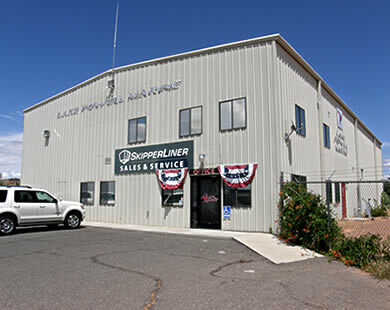 A Skipperliner authorized service center, Lake Powell Marine provides repairs on houseboats, powerboats, and PWCs by qualified mechanics and technicians. Engine repair, drive service, rebuilds, replacements, maintenance and electrical, plumbing, batteries, gray and black water repairs. Exterior and Interior houseboat remodeling, painting and striping.